Hundred Islands is located in the city of Alaminos, in the province of Pangasinan in northern Philippines. Here’s Sir Julius Group (HRM students from Philippine Cultural College) jump off to Hundred Islands last Friday (25 Oct 2013). Thank you once again guys for choosing us for your hundred islands getaway. We thank you as well for your donations for our out reach program (to be posted soon). Get an hundred islands tour package here! Considering An Overnight At Hundred Islands? 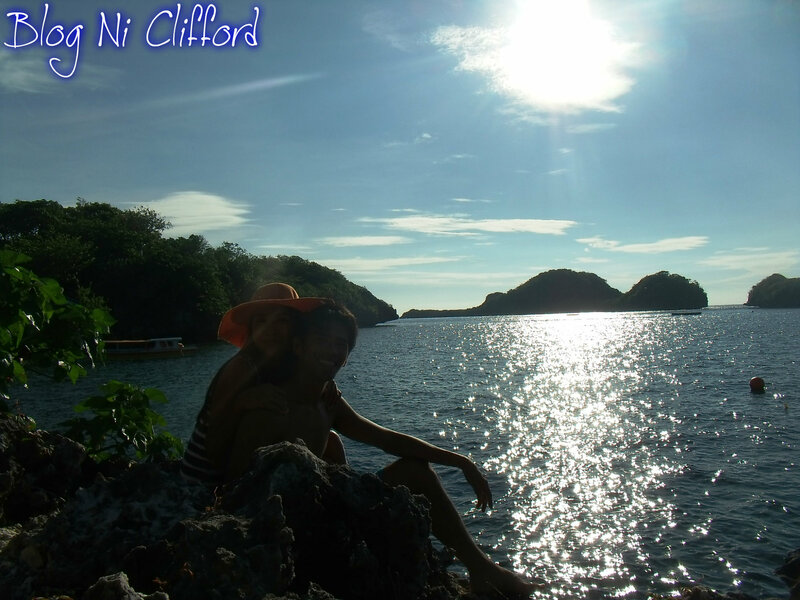 Staying at quezon island is one of our unforgettable experience at hundred islands. Imagine the cool breeze, sound of shore, singing birds, fresh air, magnificent sunrise and sunset view and other soothing experience. If you’re considering doing the same, please consider in formations below. There’s No fresh water there for bathing or for cooking. Salt water is the only available resource for bathing which you have to pay between Php5-10 per use of comfort room. You may bring fresh water or mineral water from Lucap port (I used to say port instead of wharf for general term) before going to the islands. 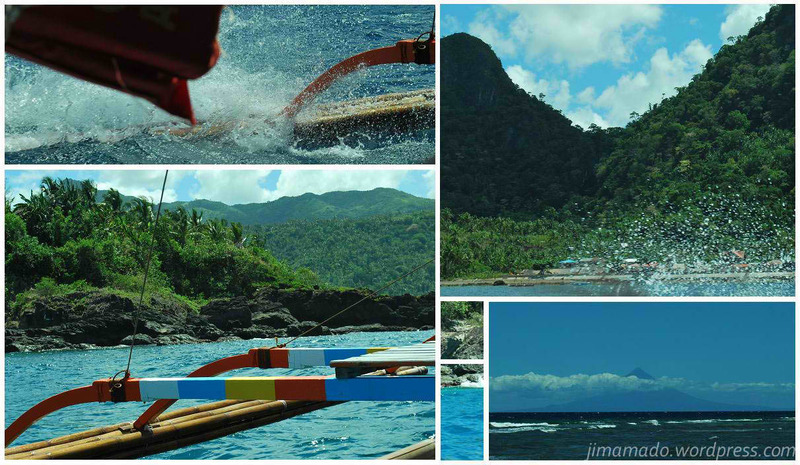 Each container (05 gallons) of water either fresh water or mineral water costs Php100.00. Should you wish to bring one please tell it to your bangkeros. Nipa rent is normally Php2, 500.00 which is most of the time excluded (or noted optional) from travel and tour quotes or hundred islands tour package. Pitching tent near the shore is allowed only around 5-6pm but must take it out at 6am per policy. There are areas especially at quezon island where you can pitch tent near the nipas but most of these areas are for two-three pax tent only but no rule to take it out at a certain time. Developed islands have huge pavilions with tables and chairs. You should eat here and leave your belongings unless you rented a nipa. Make sure though that your belongings are not left unattended because it’s an open area. Fees per table is PHp250.00 and normally excluded (or noted optional) from travel and tour quotes or packages. If guests wanted to stay in an undeveloped islands (no fees) bangkeros have to stay with them per policy and guests must provide food for them. Overnight fees is higher than day tour but most of the time providers makes it sure that there will be no issues with this matter. Should you wish to include tent or utensils just let your provider know. FYI – normally tent rental at hundred islands includes pillow, mat, bed sheet and 1 container water. It’s your preference my friends in the end. Needless to say though whether you’ll stay overnight or not, you’d better come and see hundred islands. It’ll be an awesome adventure! Since we have our son with this site inspection, we decided to rent a nipa hut (Php2,500.00) instead of pursuing our original plan of tenting. Plus it’s gloomy during that time and a bit rainy and we may jeopardize his health. Our nipa hut has two rooms ( one with door and the other is an open area) and a balcony. 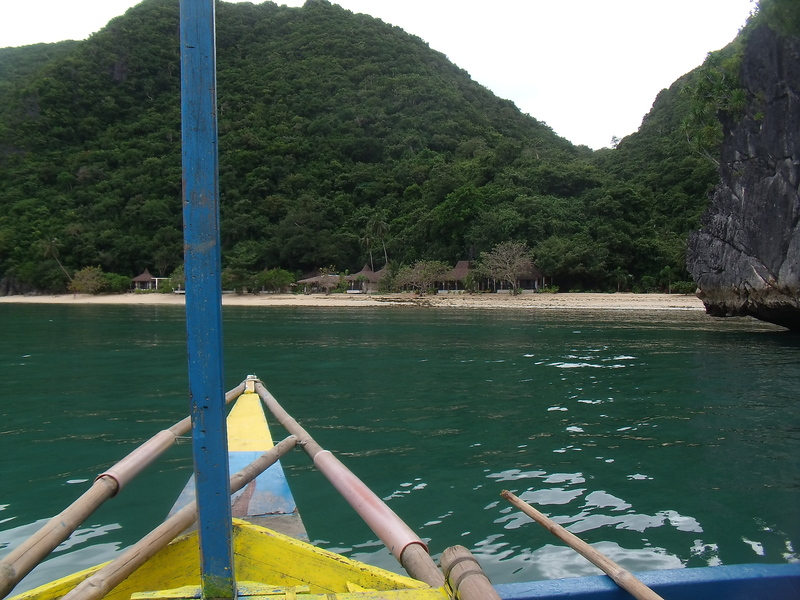 It’s like a hanging nipa where you can see a pretty nice view facing the other island in which quezon island is connected with.